Is your current security camera monitoring system outdated? Are you looking for the best new security camera monitoring system products? Do you want state of the art equipment to make up your security camera monitoring system? Keep reading this article to find out details about the different types of products that make up a modern security camera monitoring system. You can find all of the various products discussed here at our online store. 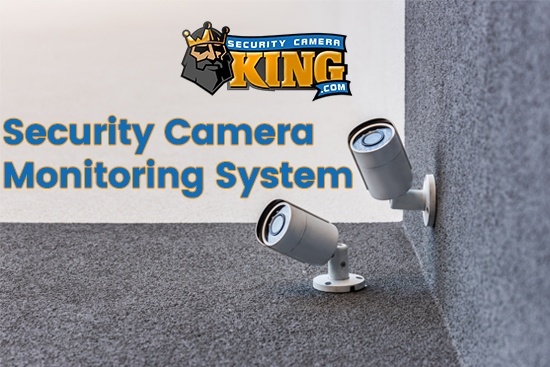 If you want to get all of your surveillance equipment for your security camera monitoring system from a reputable distributor that knows all the ins and outs of this industry then visit our website at the link provided here: Security Camera King. In order to obtain a fully operational and complete security camera monitoring system, there are a few things to keep in mind. Any security camera monitoring system is made up of more than just the surveillance cameras alone. In addition to surveillance cameras, it is critical to choose the right video storage equipment and video recorders. To get the most out of your security camera monitoring system, allow security professionals to help advise you on the different types of cameras and video storage products. That is what we at Security Camera King are here for. We strive to share our comprehensive knowledge of all the different products that make up a security camera monitoring system. We are a wholesale distributor of all of the products discussed in this article and aim to help anyone looking for help or advice. Surveillance cameras are certainly the first thing to consider for a modern security camera monitoring system. They are responsible for catching the video images for live feeds and surveillance storage that keeps your place protected from theft, vandalism, or any other types of criminal activity. There are a variety of different types of surveillance cameras, all unique in their ability to capture surveillance footage in different size locations, in different climates, or other changing factors. This is why choosing a company that has an expert knowledge and years of experience is vital when setting up your new security camera monitoring system. 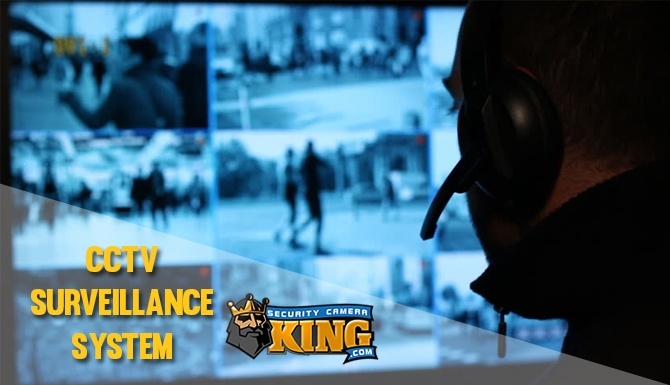 Security Camera King has many years of accumulated knowledge and experience in the security field and partners with other companies to address every area including product design and distribution, installation, monitoring, and more. Box Camera: The box security camera is the original security camera design and the most commonly found design throughout the general public. It is often seen in commercial areas and throughout gated communities or apartment complexes. Its functionality makes it perfect for small and large CCTV monitoring systems alike. The variety of lenses that can be changed out make it adaptable to different levels of light to add additional clarity to your surveillance footage. Bullet Camera: The bullet security camera is one of the most weatherproof designs in the current market. Also known as the cylinder security camera, this design is ideal for people who choose to install their security camera monitoring system themselves. It can be easily mounted and adjusted to watch over your property or location. Hidden / Inconspicuous Camera: The hidden or inconspicuous security camera is a design used when you do not want your security camera monitoring system to be noticed. This has a variety of different uses such as discreet employee monitoring. Our pinhole security camera is one of the most recent, innovative products, and can easily be hidden within walls of everyday objects. Indoor Dome Camera: The indoor dome security camera is specifically made for indoor use. This design is one of our more cost-efficient products and can be used anywhere that weather resistance is not a factor. Pan / Tilt / Zoom Camera: The pan/ tilt/zoom security camera (PTZ) is a versatile design that can be remotely controlled. This design allows the user to focus in on specific areas or change its field of vision from a specific area to a wide-angle view. It is ideal for changing environments and is easily controlled once properly installed. Vandal Proof Dome Camera: The vandal proof dome security camera is designed to be impact resistant. This makes it nearly impossible to be tampered with and is meant for securing areas where direct vandalism is a concern. It is used for both commercial and residential purposes. No modern security camera monitoring system would be complete without a video storage device that can retain your surveillance footage. This surveillance footage is necessary if a criminal act or vandalism act takes place and is the first thing authorities seek out to use for identification. It is also widely used in insurance claims. The video storage devices come in different sizes to meet the needs of small, private surveillance systems and large, complex surveillance systems. The different sizes are able to hold surveillance footage for as long as you need and can be found as digital video recorders (DVR) or network video recorders (NVR). Visit our website to obtain more information about the different systems we offer and how we can help set up your security network. Security Camera King is a wholesale distributor of security cameras and associated surveillance equipment and accessories. We partner with TechPro Security Products to give expert advice and assistance in camera installation. We also partner with remote security agency Digital Security Guard to provide a 24/7 monitoring service option to our clients. Visit their provided links to find out more and go to our website for a more comprehensive look at the huge selection of products we provide. CONTACT US if you have any additional questions.